Viper 4S Hovercraft is a four person design which is ideal for fishing, farming, industrial and recreational use. The Viper 4S is a enhanced version of our earlier Viper 4 model, with many inclusions that provide improved comfort and performance. The Viper 4S has a beautiful finish and well laid out features that provide comfort and safety. It is simply a joy to fly without the need to for full power or struggling in high winds and large chop. 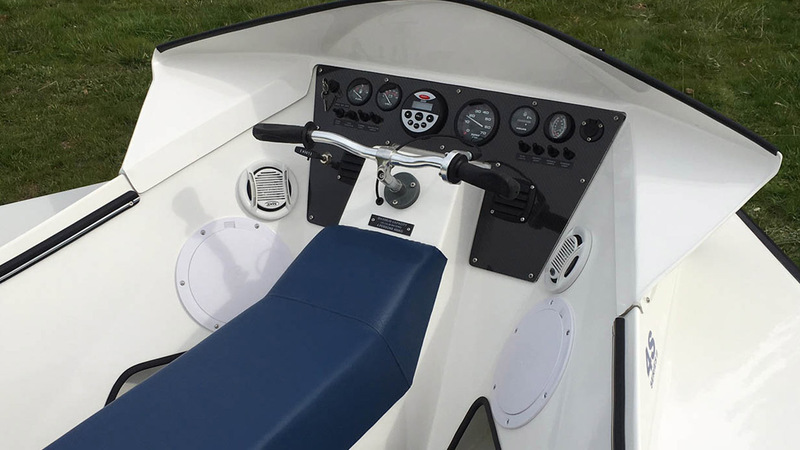 The Viper 4S is manufactured using the best fiberglass materials and engine available. The hull is light and incredibly strong by taking advantage of high end fibreglass fabrics, resins and fabrication techniques. The Viper 4S incorporates localized Kevlar reinforcement which provides additional strength and durability. The Viper 4S Hovercraft is a stable floating platform for fishing, diving and retrieving. Our positive buoyancy system ensures a unsinkable Hovercraft, even if it is completely swamped. It is a practical design with easy passage to all interior and deck areas. 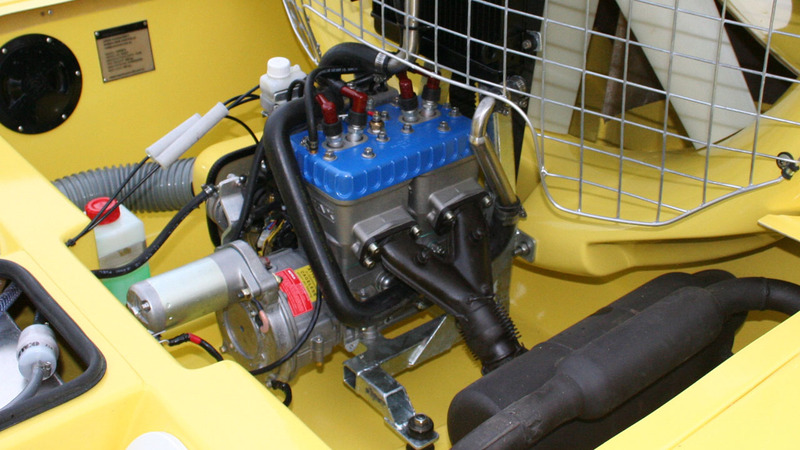 The Viper 4S Hovercraft is powered by a 64hp Rotax 582UL water cooled engine. These engines offer adequate performance for up to four persons. The Viper 4S model uses the larger Series 5 fan duct, flow vanes and elevator system which provides excellent performance at lower fan speeds. We have also included our own unique driveline dampening system, which increases engine and drive system life. • Colors - White, Central Blue, Safety yellow, Signal red, Chrome green and more.